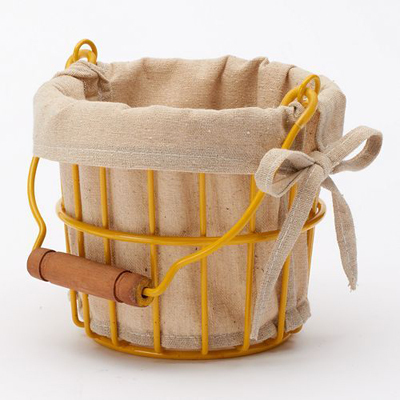 Add a touch of rustic charm to your kitchen with this Food Network Farm Fresh Small Round Wire Basket. Colorful metal design lends stylish flair while liner secures contents. $14.99. Buy here.